WELLINGTON, OH, February 19, 2019: E. L. Hatton Sales Co. announces the launch of its SEGDesign Modular SEG Frame System. 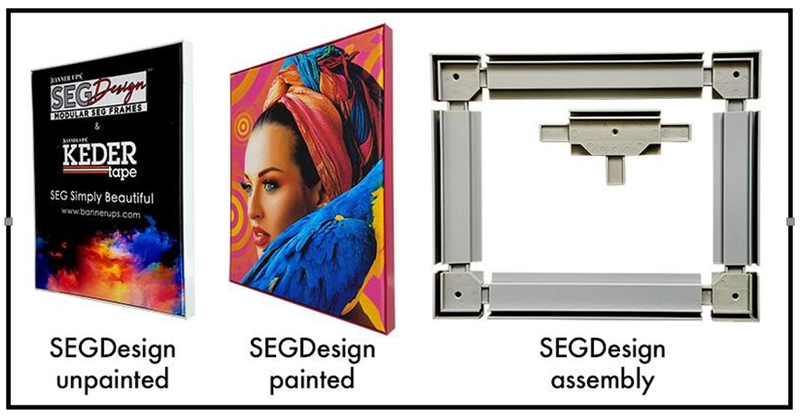 SEGDesign is a non-aluminum SEG (silicone edge graphics) frame system. Mitercut aluminum SEG frames can be costly to make, stock, and ship. But the SEGDesign modular system combines injection-molded corners, T-connectors, and side rails which snap together quickly and easily to produce unlimited sizes and shapes from a few parts with no special tools. Available in standard size kits and bulk packed for low cost/high volume applications. Side rails are straight cut with no mitered corners and non-aluminum so custom sizes can be cut instantly in-house with a common saw. Made of tough recyclable ABS, the system is stocked in silver color but also accepts Krylon Fusion® as well as industrial spray paint, so creating image-popping color frames is fast, easy and inexpensive. SEGDesign is 30% lighter than aluminum, easier to ship and reassemble with no oversize surcharges. Due to the ease of customization and limited components, SEGDesign offers sign makers and the sign supply distributors a low inventory cost solution to create virtually any size SEG frame quickly at a total lower cost than aluminum frames. 100% made in the USA. SEGDesign will be featured at ISA 2019 Las Vegas, Booth 2103. 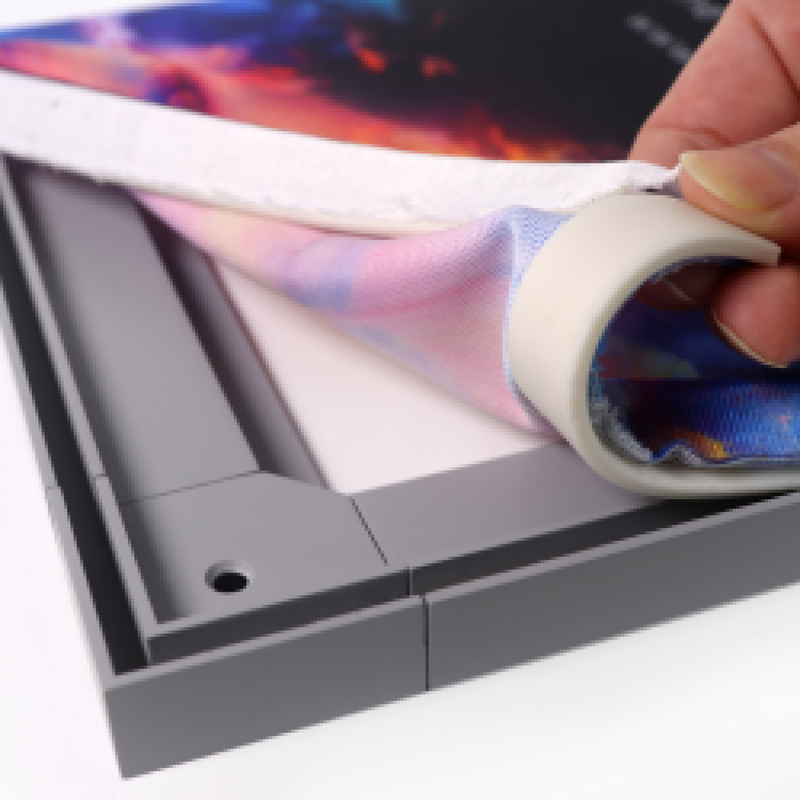 SEGDesign is designed to work with Banner Ups KederTape, a peel and stick no-sew keder to provide a completely equipment-free solution, making SEG available to every printer. The frames will also work with all standard keder and SEG graphics. The system comes with full application support, including complete video instructions and a list of recommended media for all printer types from industry leading fabric suppliers. SEGDesign (silicone edge graphics) is available through a select network of distributors. For more information visit www.bannerups.com/segdesign or call 800-869-9601.